Harvest Properties provides condominium associations and property owners with professional property management solutions. 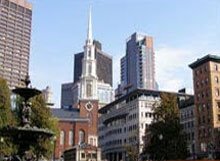 Harvest Properties services over 2,000 residential condominiums, investment properties and commercial units in Eastern Massachusetts. Harvest Properties uses the latest technologies in banking, communication, management, resale and web tools to deliver the most effective management services. Your property will be serviced by an outstanding property management team. Harvest Properties services properties that range in size from individual condominiums to condominium associations of over 150 units. We provide levels of service and professionalism generally reserved for extremely large properties to small and mid sized properties and associations. Harvest Properties builds relationships with clients to protect the value of real estate by delivering first class property management services to residential and commercial properties through open communication and financial transparency.